BARESOME: What's The Difference Between Bloom Skin Essentials Polish for Oily Skin and Polish for Combination Skin? 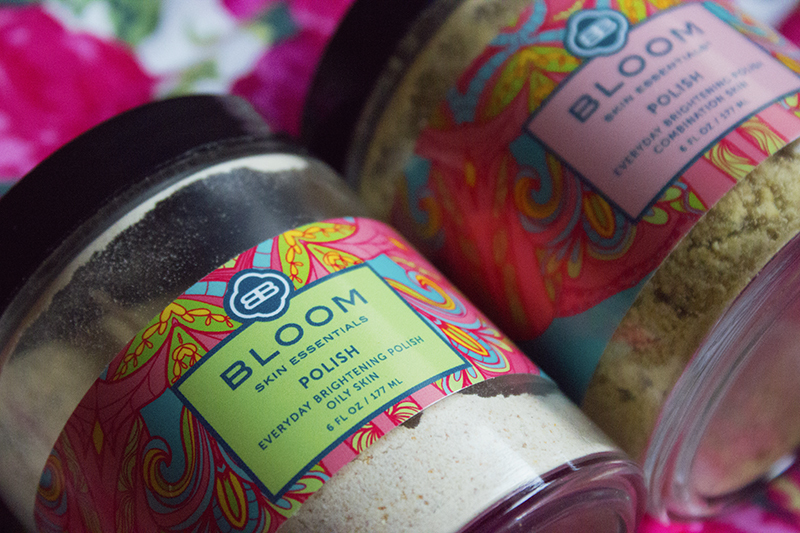 What's The Difference Between Bloom Skin Essentials Polish for Oily Skin and Polish for Combination Skin? I'm one of those I-want-to-try-a-bit-of-everything types. So when you tell me there are different versions of the same product designed to target specific skin types, I can't help but find myself at least a little curious. Often, curiosities pay off, and trying out Bloom Skin Essentials Polish for Oily Skin and Polish for Combination Skin is absolutely one of those times. My skin is oily. There's no question there. I'm oily, congested and have dramatically oversized pores. It was only natural that I picked up the Polish for Oily Skin from Bloom Skin Essentials. I love everything about it (as demonstrated by my full review here); it has become a skincare staple and a consistent repurchase. But, as I said, I was curious what the difference was with the Polish for Combination Skin, and you know what, I found myself yet another staple to add to my collection. The Polish products contain a very simple list of 100% organic and super effective ingredients (ingredients for Polish for Oily Skin listed here, ingredients for Polish for Combination Skin listed here). There are only three ingredients that these products share: rice powder, whole milk powder and coriander powder. Meaning it's up to the three remaining ingredients to make a difference, and yes, they make a very welcome difference indeed. Described as an 'Everyday Brightening Polish', this is like a very mild exfoliator that is gentle enough to be used every single day if you please. It also doubles up as a face mask, to either be combined with Glow. or, my personal favourite, with water. The ground powders, milled petals and fruit peel act as a very delicate way to buff the skin, helping to remove dead skin cells and reveal that bright and lovely complexion hiding beneath. There are three types of Polish in total, for Dry, Combination and Oily, each designed to match the needs of your skin type. As I'm oily, I want a buff with a little bite. These products suit my sensitive skin perfectly, effortlessly unclogging pores and evening out my skin tone without disturbing or disrupting. Not sure on your skin type? Bloom has a neat little test here. When used daily, I am far fonder of Polish for Combination Skin. This is just a tad gentler, offering the same brightening effects but with a softer touch. Its texture strikes the perfect balance of being heavy enough to effectively buff, while being soft enough to cushion the granularity. 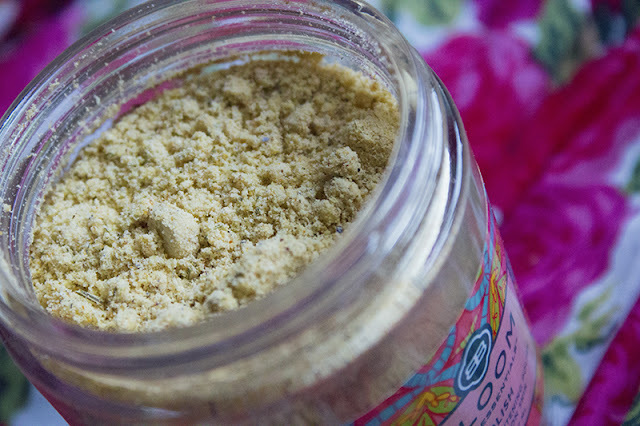 As a daily exfoliator, it expertly unclogs pores, instantly giving me a brighter skin tone. It also wonderfully smooths my skin, giving me a soft and flawless complexion without any need for that harsh over-polishing. Furthermore, it completely balances my complexion. I have a very uneven skin tone, due to redness and inflammation, and the anti-inflammatory powers of Polish for Combination Skin helps to restore equilibrium no problem. Polish for Combination Skin makes for the ideal daily exfoliant. It's powerful, it's effective, it's gentle and it offers instantaneous results. This is absolutely my favourite way to balance and brighten my skin, without question. As for the Polish for Oily Skin, this little fellow has become my staple masking partner. As usual, you'll need to combine this with an oil like Glow or just plain old water, to turn it into a paste. You then take that paste and apply it to your face, wait 10 or so minutes, then remove, massaging as you go, for that extra exfoliation and that extra circulation. This mask is absolutely incredible for decongesting my terribly congested skin. Any impurities are extracted, any rough skin is removed and any clogged pores are completely cleared. The Polish for Oily Skin gives skin a run for its money, instantly providing a clearer and brighter complexion. With regular use, this two products have provided me with gorgeously balanced, brighter and clearer skin. They never, ever fail me. 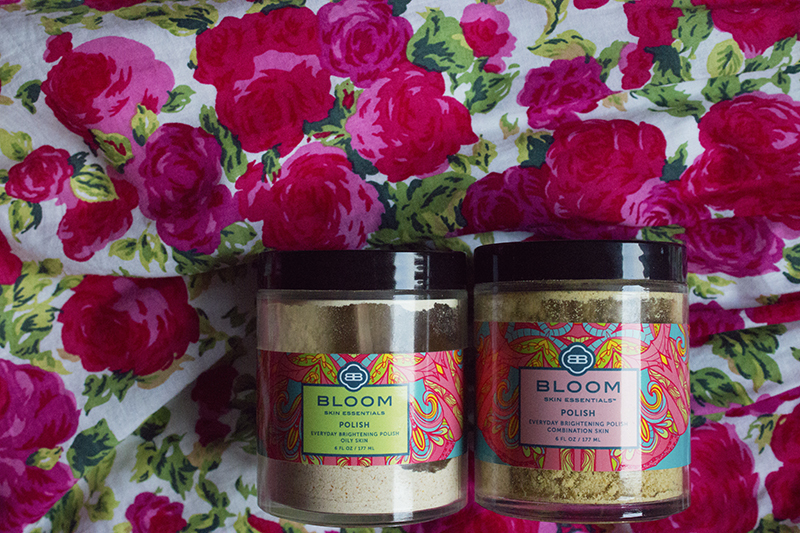 Their gentle but scrubby textures, their wonderfully delicious fragrances and their unmatched results are all reason for me to place Bloom Skin Essentials Polish as a solid staple in my skincare collection. Bloom Skin Essentials Polish can be purchased from Bloom Skin Essentials for $40.00 / 6 OZ. ($20.00 international shipping, subject to customs fees).